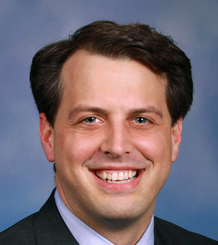 Current senator: The current senator for the 18th District is Sen. Jeff Irwin (D-Ann Arbor). The district includes Ann Arbor, Saline and Ypsilanti. According to his campaign website, Irwin previously worked for the League of Conservation Voters, served on the Washtenaw County Board of Commissioners and served in the Michigan House. A map of the 18th District is available here. Sen. Irwin raises money through a candidate committee, Jeff Irwin for State Senate. He previously raised money through a House candidate committee, Jeff Irwin for State Representative, and a leadership PAC, the Jeff Irwin Leadership Fund. The leadership PAC dissolved in 2015.